A stunning façade of brick, siding and shakes artistically uses color and texture to showcase an eye pleasing curb appeal. An open floor plan, three bedrooms, a corner fireplace, raised ceilings, an island with seating and split stairs to the basement combine to create a home that offers luxurious amenities and step saving convenience. A whirlpool tub and double bowl vanity pamper the homeowner and a large rear porch provides outdoor enjoyment. 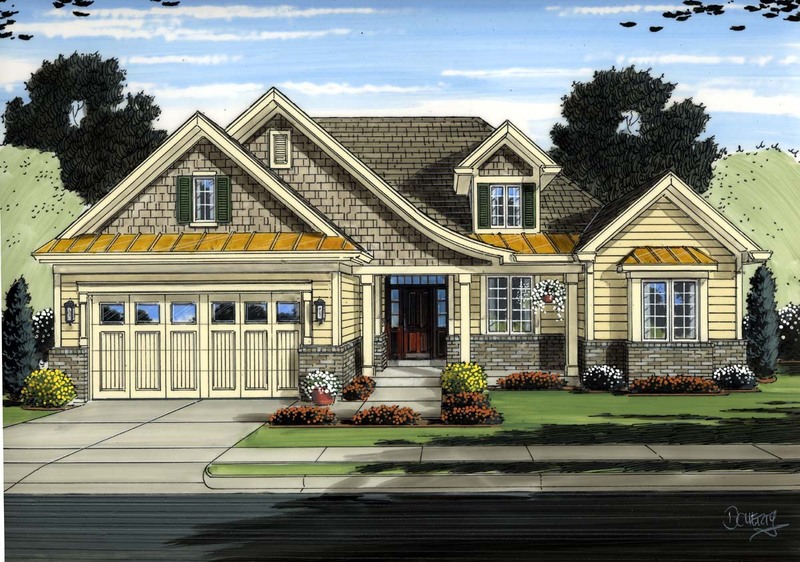 Question: On plan 98650 what are the sizes of the master closet and bathroom , the linen closet and the closets in the 2 other bedrooms? 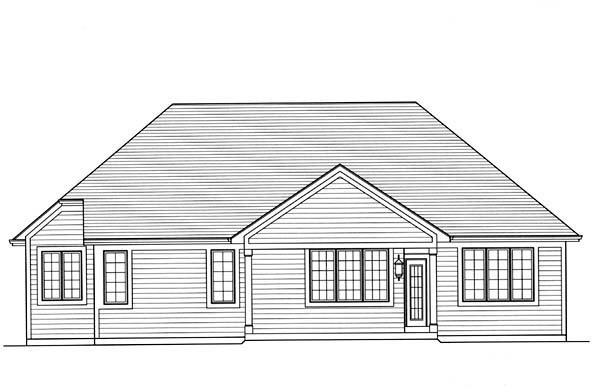 Also size of the front and back porches?Are the basement plans for walkout or regular basement? Thank you. Answer: Thank you for your question. There is not enough clear space designed in this roof between raised ceilings, hip roof design and stair access to access a bonus room in the attic without a re-draw of the design. There is enough head room to stand in certain areas to provide storage but not to create a bonus space.